In 2010, there was a dramatic increase in fatal car accidents on Pennsylvania highways. On February 18, 2011, the Pennsylvania Department of Transportation announced that 1,324 people were killed in motor vehicle accidents on Pennsylvania highways. This represents an increase of 68% from the number of deaths in 2009. On Thanksgiving weekend alone, the state police investigated over 1,100 Pennsylvania highway accidents, which included 17 deaths and many other serious injuries. Pennsylvania is not the only state to have seen this type of increase. Unfortunately, many of these accidents are caused by nothing more than distracted drivers. Distracted driving can be caused by anything that diverts your eyes from the road, your hands from the wheel or your mind from driving safely. These types of accidents can be caused by something as simple as reaching into the back seat while driving to more high-tech diversions. There can be no question that increased cell phone use and texting while driving has contributed to car accidents. Even a momentary lapse in concentration caused by using these devices while driving will decrease a driver’s ability to react and avoid a hazardous road condition. While several states have state-wide restrictions regarding cell phone use while driving, Pennsylvania does not. On January 31, 2011, legislation was introduced in the Pennsylvania Assembly regarding cell phone use while driving. Under the latest distracted driving proposal, drivers under 18 would not be permitted to use a hand-held or hands-free cell phone and would be prohibited from text messaging. Adult drivers would be prohibited from using hand-held devices and text messaging but could use a cell phone if a hands-free device is used. This legislation was introduced only one week after the organization Advocates for Highway Safety and Auto Safety – http://www.saferoads.org/ – rated Pennsylvania as one of the seven worst performing states when it came to the adoption of 15 overall basic laws the group believes are essential to reducing deaths and injuries on the nation’s highways. 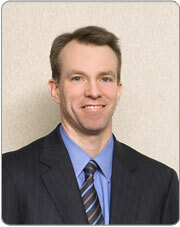 Neil T. Murray is an attorney with the personal injury law firm of Sheridan and Murray in Philadelphia. He may be reached at (215) 977-9500 or via email at nmurray@sheridanandmurray.com.